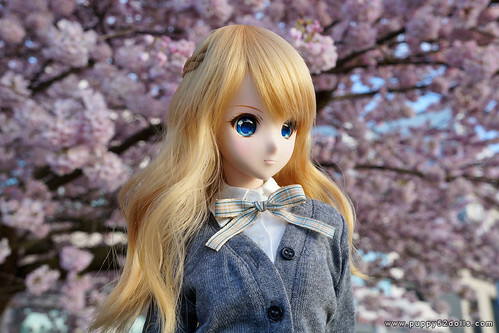 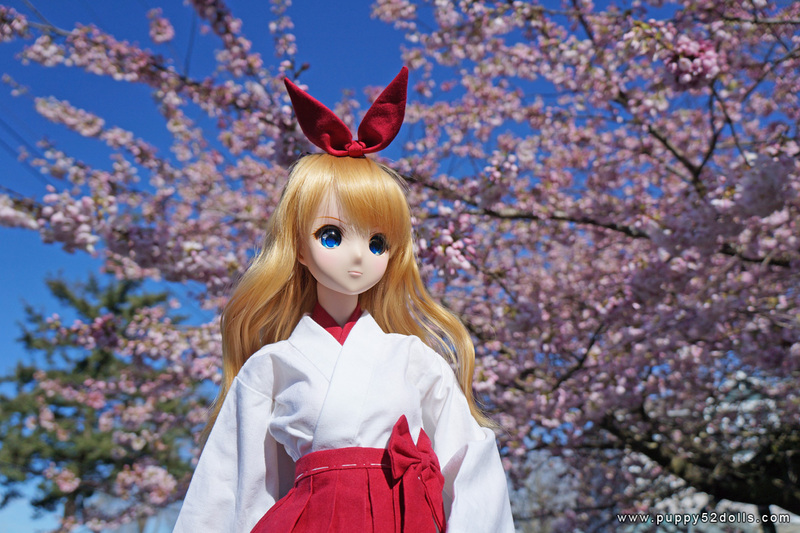 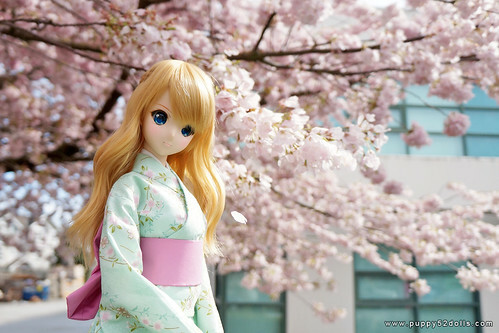 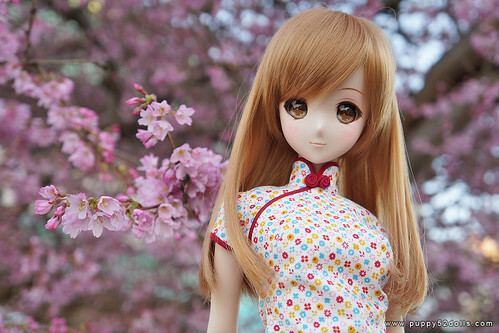 Mirai School girl in spring! Please click the photos for larger images! 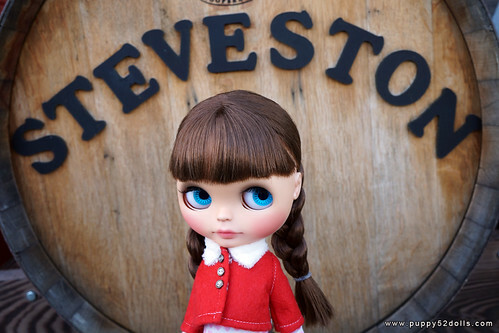 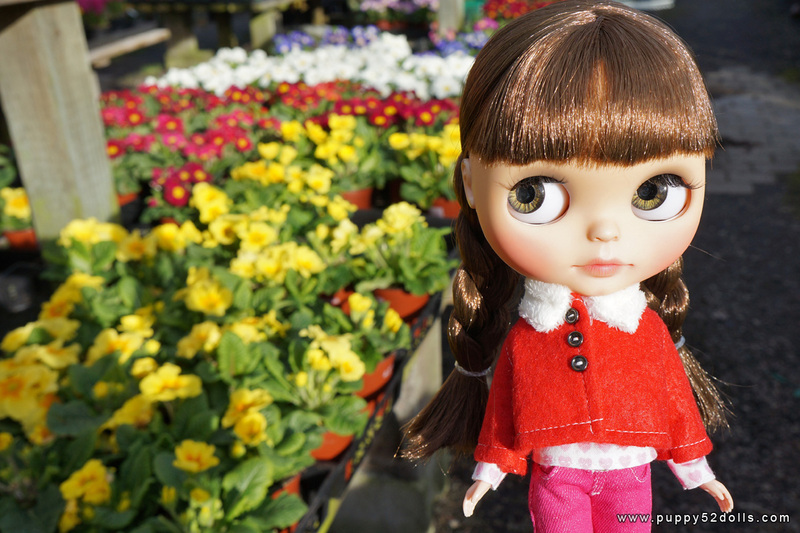 Spring is one of my favourite seasons in Vancouver, after a long cold and grey period, the colourful flowers are ready to come out, so are my dolls lol! 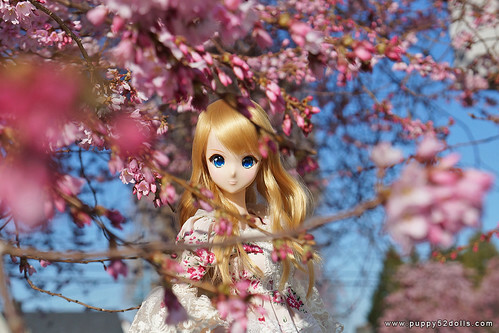 We had a short break from the rain and wind, so I took Kizuna out to take photos with the tree, by now the petals have started shedding, it was a beautiful but melancholic sight. As promised, we managed to have more photos taken at the beautiful tree blooming for the last time near our home on a beautiful afternoon! 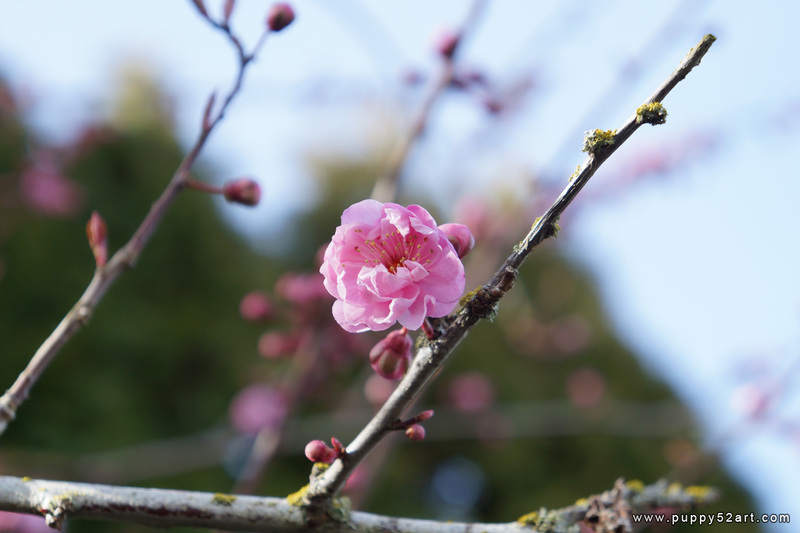 Spring is early this year! 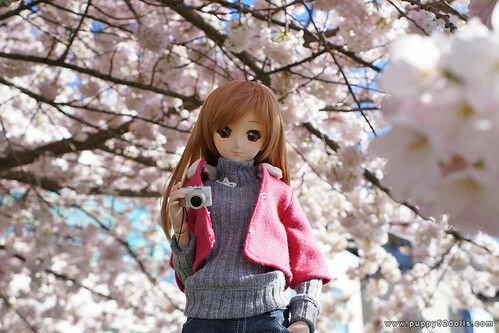 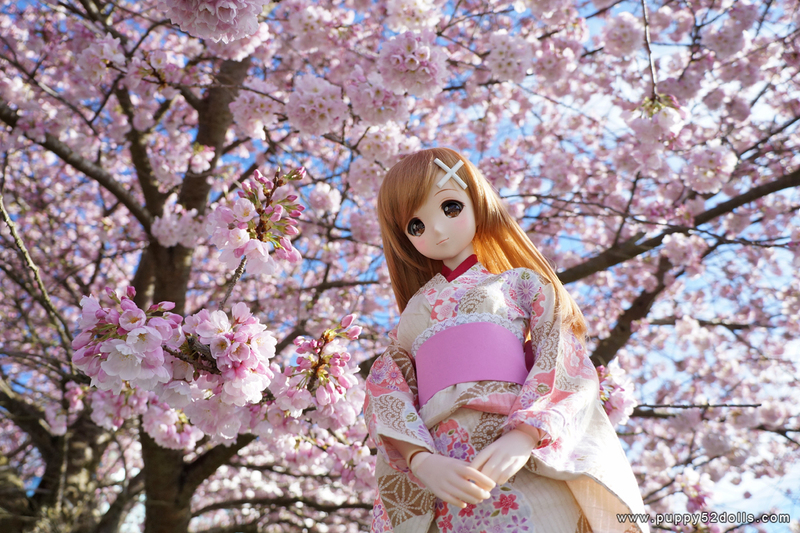 :) The whitcomb cherry blossoms has started blooming 2-3 weeks sooner than last year :o I had to take Mirai and Kizuna out for photos! This year I think we lucked out on the weather in Vancouver, it’s quite amazing that these type of Sakura (I think it is yae zakura?) 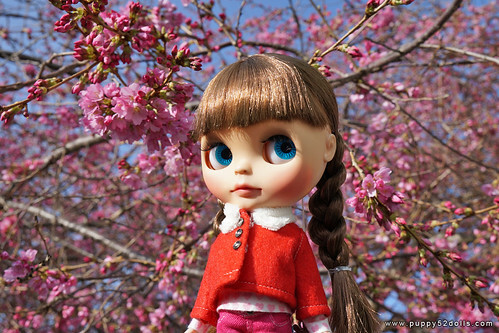 is still hangin in tight at the moment!